As usability and user experience specialists we measurably optimize the success of your products. Experience your product from your users‘ point of view. Learn more about your target group. Puts the user at the center of development and results in easy, intuitive solutions. 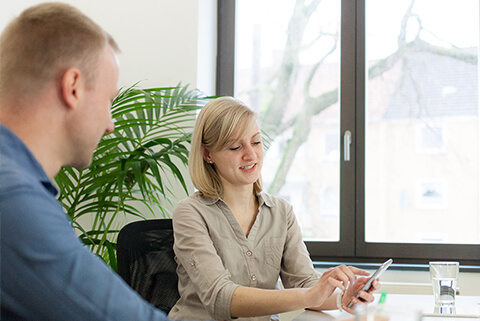 We introduce usability to your company and advise you in all UX topics. By using approved, scientifically grounded methods in combination with the expertise of our experienced UX experts we systematically implement usability and user experience. More about us. More than 90% returning clients and satisfied client voices prove our success in this field - in totally different project contexts for diverse companies and industries.